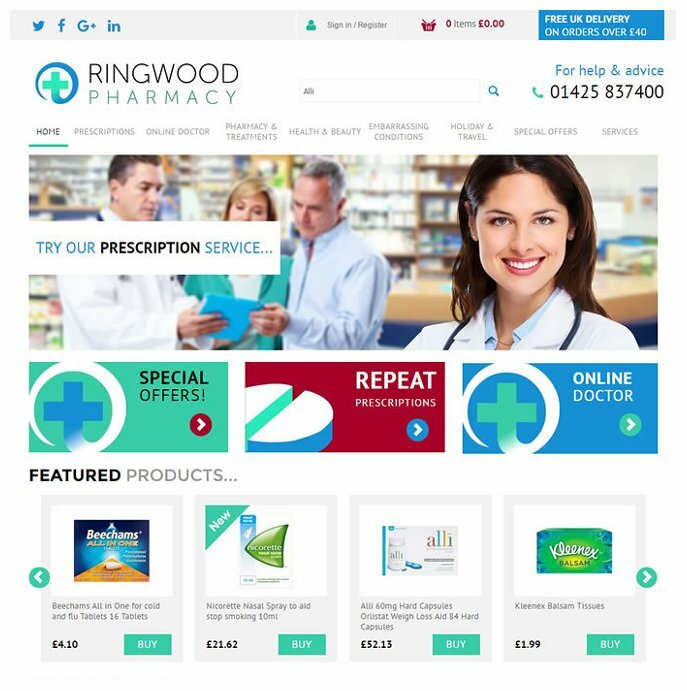 Pharmacy Website Package C: eCommerce provides the opportunity to sell via your Pharmacy website - either to your local audience (perhaps linked to a local delivery service) or nationally. 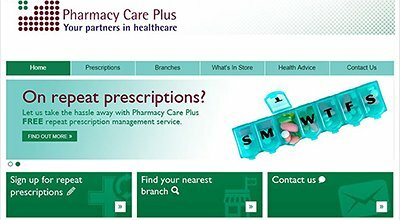 Specifically tailored to the needs of independent pharmacies, SiteBuilder Pharmacy websites combine professional design with market leading eCommerce functionality. 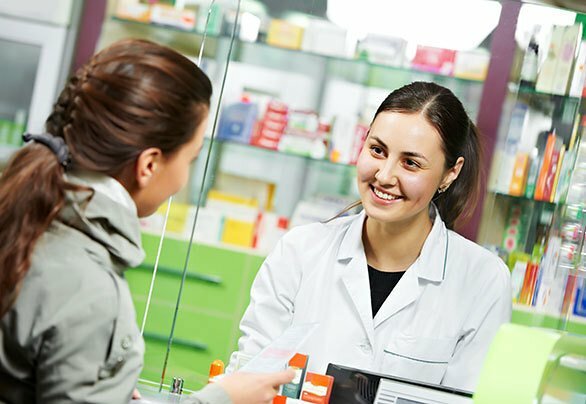 Pharmacy specific solutions include a facility for selling PMeds, Online Doctor service & Repeat Prescription management. 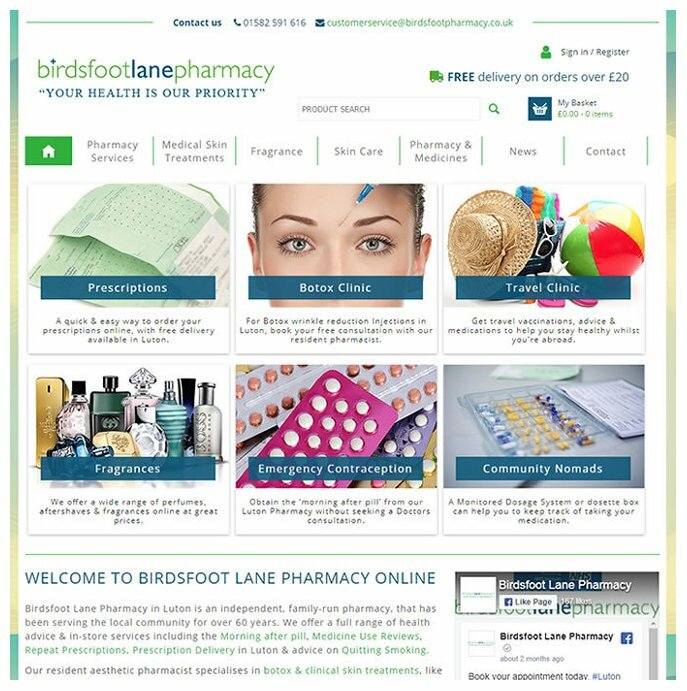 A powerful online product catalogue allows you to keep full control over what you sell and how you present it on your site. A secure payment gateway enables you to take online payments via credit and debit card, and an integrated sales ledger allows you to fulfil orders quickly and easily. 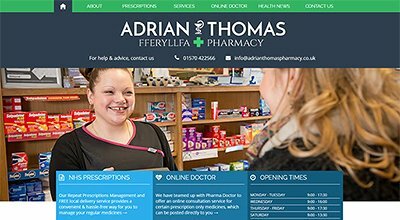 Choose from a selection of pharmacy website templates or have a bespoke design created specifically for your business. 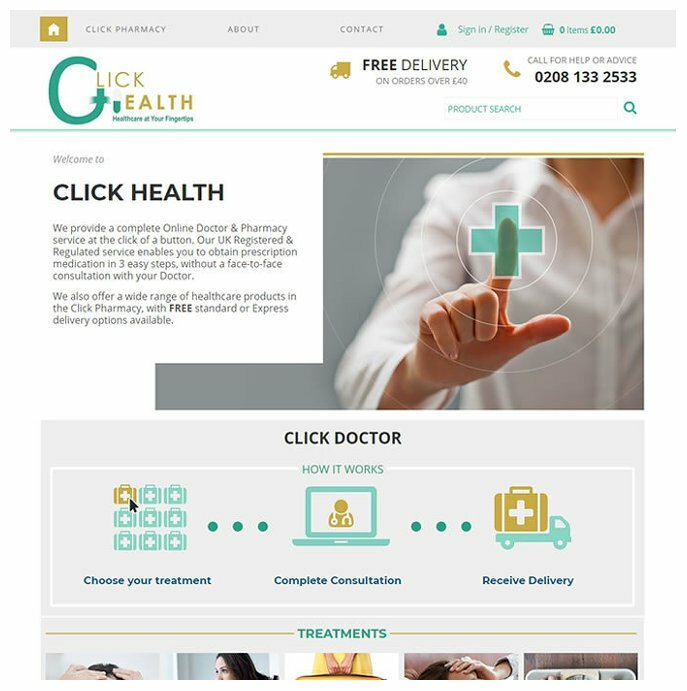 The site will will be customised with your logo, colours and brand.